Sophisticated elegance. A wood ring with a rich cherry finish supported by a wrought iron stand with black matte-finish make this piece one of a kind. 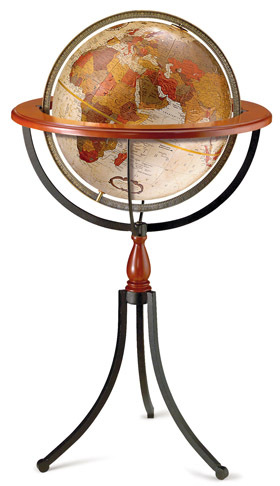 It includes two riser options, either wood with cherry finish or black-matte finish metal. 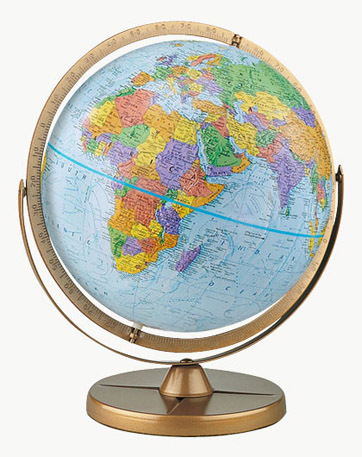 The final touches include a bronze metallic ocean globe with beautifully blended earth-tone colours and a metal die-cast meridian with antique finish.